Lost Data on Android Phone or Tablet? Accidently deleted photos or messages on your Samsung Galaxy S5? Want to recover important data from your Android smartphone on Mac without backup? Like the Apple iOS devices, Android phone or tablet could easily lose data due to accidental deletion, factory settings restore, ROM flash, root, or corruption. If you happen to lose important Android files and want to get them back on a Mac, read the parts below in details and you will learn Tenorshare Android Data Recovery on Mac. It applies to any Android phone or tablet. Part 1. Can You Get Back Deleted, Lost Files from Android Devices on a Mac? Part 2. How to Recover Android Data on Mac OS X? It works well on all Mac computers, such as MacBook Pro, iMac, MacBook Air, and Mac Pro. Have this Android mobile phone/tablet data recovery software free download on your Mac OS X, and then you can recover all data, including contacts, messages, photos, videos, music, and other files of more than 300 file formats. Here are the steps. Launch Tenorshare Android Data Recovery software and you will get the interface like below. 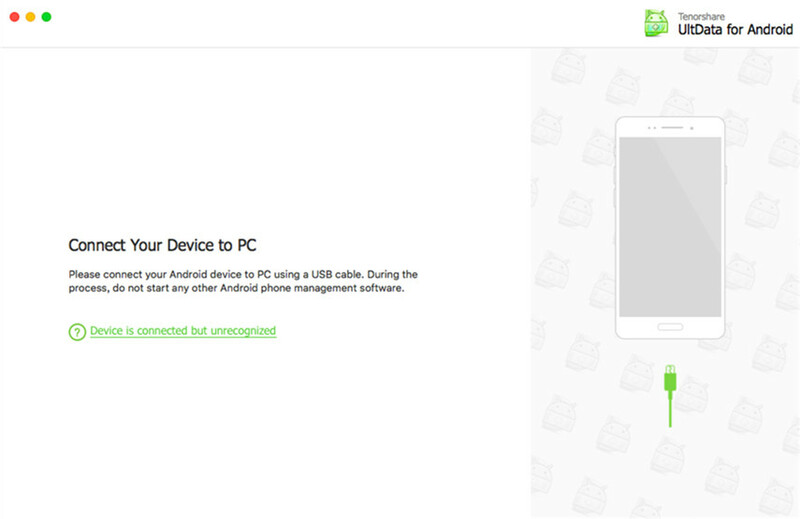 Then connect Android device to PC with a USB cable directly. If you don't have a USB cable, try Wi-Fi to connect your Android device. Before scanning, you should enable USB debugging. 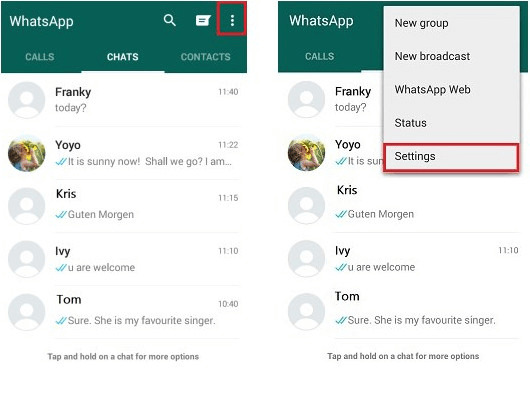 The steps for different Android vary, so follow the instruction correctly shown on the software screen. You should turn on USB storage. Just follow the steps to finish it for your device according to the on-screen guide. After PC detects your Android device, click "Next". Click "Allow" on your Android device to allow the program super user authorization when an app Superuser Request pops up. It provides two recovery modes to recover files on any device: Quick Recovery and Deep Recovery. choose the perfect mode for yourself and start to scan your Android device. After the scan, your data will be classified by category, so you can easily choose any kind of them to preview. After preview, select your wanted ones, click "Recover" and choose a save path on your PC to save them. As the best Android file recovery software on Mac OS X, Card Data Recovery for Mac supports to recover lost data from all Android phones and tablets. Here we list the hot ones.